BlackSky, the geospatial intelligence service of Spaceflight Industries, has announced that the first of the firm's next-generation of small Earth observation satellites is complete, qualified, and awaiting launch. This spacecraft, called Global-1, is the first of four smallsats that are scheduled to launch in in the next year on both US and foreign launch vehicles. BlackSky’s Global smallsats will join the virtual constellation of commercial imaging satellites accessible through the BlackSky geospatial platform. 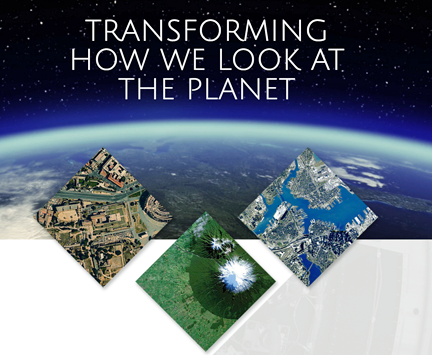 Within the platform, users can access BlackSky Spectra’s on-demand imagery service to search, purchase, task, and download visual imagery and multi-spectral data from a global collection network. They can also subscribe to BlackSky Events, the platform’s global event monitoring service that fuses news, social media, industry data services, and physical sensor networks to provide early warning and insights on risks, threats, and opportunities that can impact their business. The platform is currently in use by several large government and commercial organizations to actively monitor global assets. 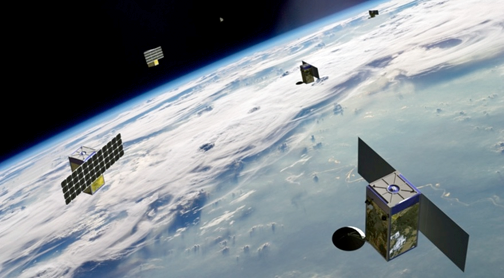 Artistic rendition of BlackSky's smallsats on orbit. Image is courtesy of BlackSky and Spaceflight Industries. Nick Merski, the VP of space operations at Spaceflight Industries, stated that the global satellites are an important step forward for the satellite industry. The company is continuing to advance the boundaries of what can be achieved in terms of price point, capability and form factor, and these improvements ultimately help to make space more accessible for a broader set of business applications. Jason Andrews, the CEO of Spaceflight Industries, add that this is an important milestone for the firm's BlackSky geospatial information business. Qualifying the Global generation of spacecraft paves the way for mass production and launch of the company's full constellation, as well as achieving the firm's vision of deploying a high revisit rate constellation in the near future.